Welcome onboard Black Cat Models website ! As specialists of CAD design, we use the best available softwares and printers to produce a complete range of kits and accessories of unequaled precision and quality at the present day. 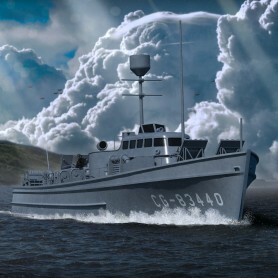 First kits available are the 1/350 and 1/144 83' patrol cutter of the US Coast Guard. More ships of this service will follow in the months to come. 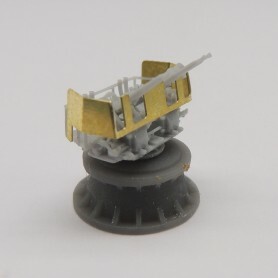 The complete families of 20mm Oerlikons, 40mm Bofors are now available, the 5in. in its various marks is almost ready, gun directors and deck accessories are scheduled soon after. 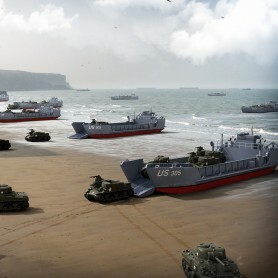 Complete series of accessories for the US Navy, Kriegsmarine, Japanese and French Navy are considered in the future. 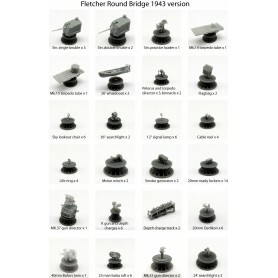 Detail set for Tamiya USS Fletcher DD-445. 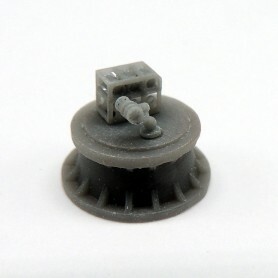 Kit N°78012. 3D designed and printed. Set of two flag bags, two boat winches and two smoke generators. 3D designed and printed. 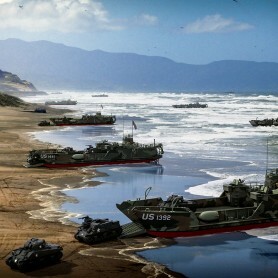 Set of four K-guns with Mark 9 depth charges and double depth charge roller rack x 4. 3D designed and printed. 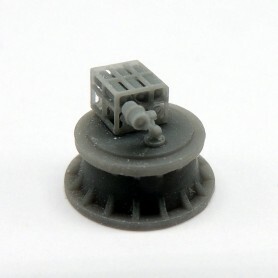 Set of two Mk.9 Release Tracks for Mk.9 Depth Charges + stowage racks. 3D designed and printed. 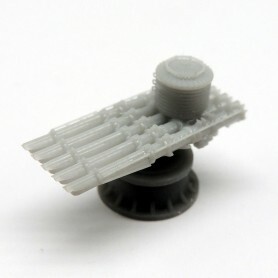 Set of two Mk 3 Extended Release Track for Mk 9 depth charges + stowage tracks. 3D designed and printed. 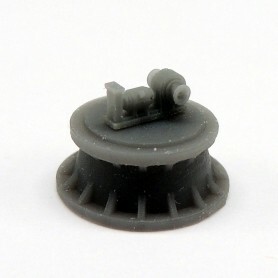 Set of two Mk.3 Extended Release Track for Mk.7 depth charges + stowage tracks. 3D designed and printed. 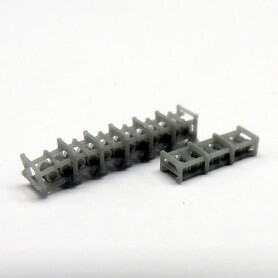 Set of two depth charge release tracks Mk 3 Mod 0. 3D designed and printed. 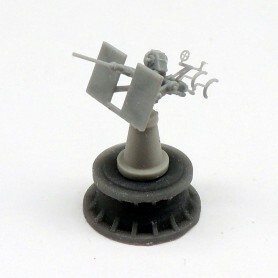 Set of four K-guns with Mark 9 depth charges and depth charge roller rack x 4. 3D designed and printed. Set of four K-guns with Mark 6 depth charges and depth charge roller rack x 4. 3D designed and printed. 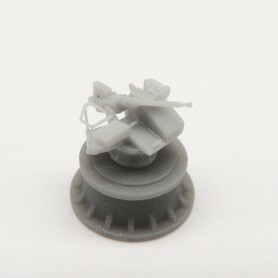 Set of 4x 3D printed 40mm Bofors quad guns Mk.2 Mod.3 and 4x Mk.51 gun directors. Set of 4x 3D printed 1.1in/75cal. 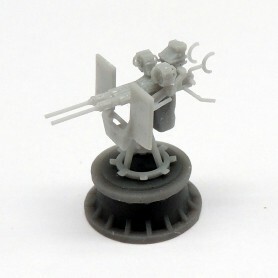 quad mount guns Mk.2. 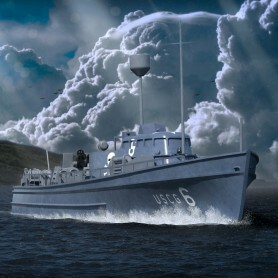 Kit to build one model of one 1/350 Landing Craft Tank LCT(6). 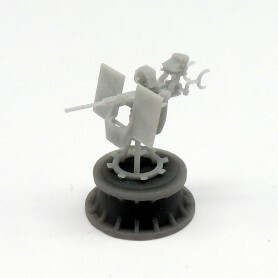 Includes resin parts, 3D printed parts, photoetch fret, decals and brass parts. 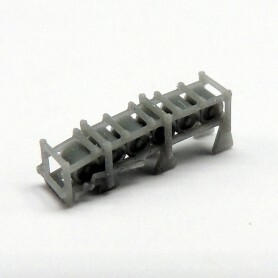 Kit to build one model of one 1/350 Landing Craft Tank LCT(5). Set of two Mark 14 and Mark 15 torpedo tubes. 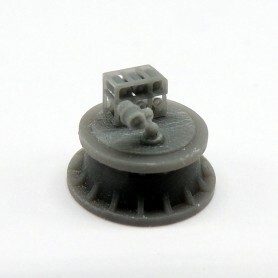 3D designed and printed. 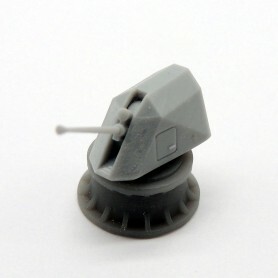 Set of one 3D printed 57mm/70 Mark 110 gun and turret. 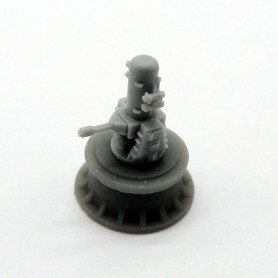 Set of 4x 3D printed Phalanx CIWS 20mm rotating guns. 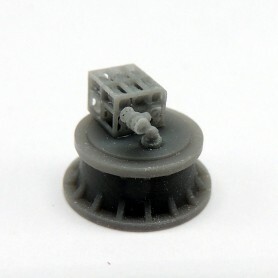 Set of 4x 3D printed 40mm Bofors guns on Mk.V single boffin mount. 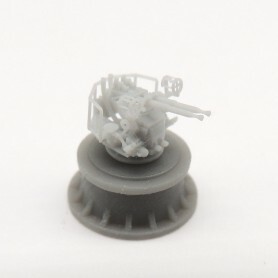 Set of 4x 3D printed 40mm Bofors guns on Mk.VII single mount. 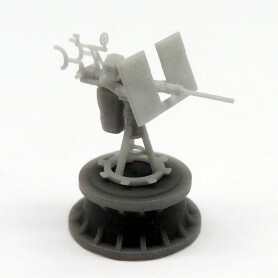 Set of two Mark24 20mm Oerlikon guns with Mk.14 gyro gunsight. 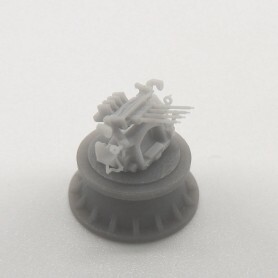 3D printed parts. 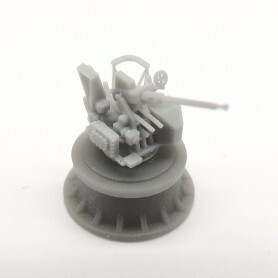 Set of 2x 3D printed 20mm Oerlikon Mk.4 guns.